Hack Fund, a San Jose, CA-based venture fund built on the blockchain, is raising a $100m fund. The fund will invest in seed-stage global technology companies. Led by Jonathan Nelson, Managing Director and Co-founder, Hack Fund has launched fundraising across Asia, Middle East, Latin America and to a small number of accredited investors in the US. The fund also has the option to purchase shares in their existing well-performing funds to begin investing soon after the token sale, rather than having to wait until new startups are engaged. On October 29th, 20 percent of the fund will also be made available exclusively to more than 1.4 million users of BRD Wallet, a decentralized bitcoin and cryptocurrency wallet available in 170 countries. 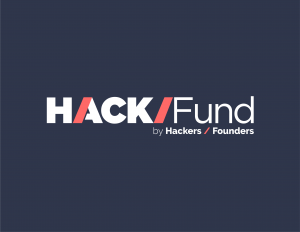 Created by the founders of Hackers/Founders, a large network of entrepreneurs with over 300,000 members in 49 countries and 128 cities, Hack Fund uses blockchain technology to provide accelerated liquidity to investors and to expand the reach of venture investing. By allowing investments to be transacted using blockchain technology, funds can flow freely across a multitude of investments, regardless of their physical location. Blockchain Stock Certificates let investors participate in the global venture market, by expanding opportunities to invest in startups currently underserved.